Brazil is a nation of vibrant colors, natural beauty, great joy, and easy going people. One such location that showcases this true Brazilian spirit is Ipanema, a neighborhood located in the southern region of Brazil’s Rio de Janeiro. First made famous by the bossa nova rhythms of the 1960’s, Ipanema Beach is now known for its elegance and social life. 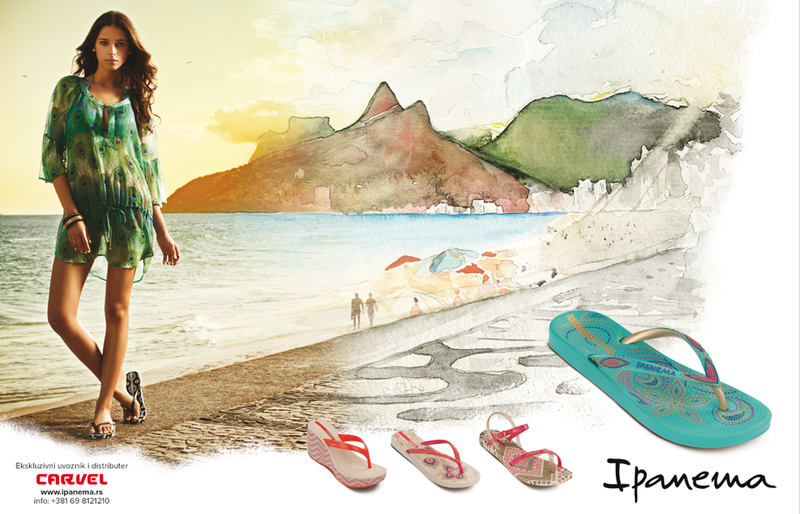 With Ipanema’s casual and relaxed beach spirit in mind, in the beginning of 2001, Grendene created the Ipanema brand. The brand epitomizes the look and spirit of Ipanema and the Brazilian woman.